Hot Sunny summer and camping I love all of them. Here are just blood-sucking insects can spoil the mood of the vacationers and vacationers. In stores a huge selection of insect repellents, however, are much safer and more economical to apply folk remedy for mosquito bites. Mosquitoes are very sensitive to various scents, scare them smells of Basil, clove, anise, eucalyptus. They do not tolerate tobacco smoke and Valerian. Camphor, cherry, vanilla beans are irritants to the bloodsuckers. 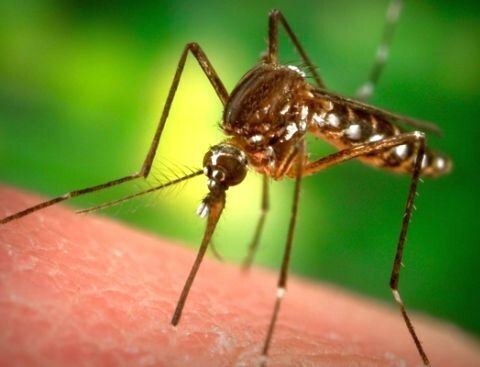 To mosquitoes don't bite you can use for rubbing various oils of these plants. A little bit of vanilla can be added to baby lotion, to smear the skin can be a decoction of the roots of the Wheatgrass or sagebrush. Essential oils can also be added to Cologne, only need to make sure that they are cosmetic and can be used for the lubrication of the skin. There is a perception that deters mosquitoes yellow, so a trip to the cottage or in the woods, you should choose clothing solar shades. The empty bottle of I can pour a hundred percent eucalyptus extract. Deters mosquitoes laid out in the house of elder, chamomile, and tomatoes. To protect yourself from the bloodsuckers on the street, to brew samovar on fir or pine cones, or throw in the fire juniper. Itchy bites can be removed with a solution of ordinary baking soda (half a teaspoon in a glass of water), ammonia or potassium permanganate. You can smear the red spots with kefir or yogurt. Pain and itching well removed fresh parsley leaves, cherry, mint, plantain. To apply mashed leaves need to RUB the skin.